Chronic pain affects more Americans compared to Diabetes. One out of ten Canadians experienced pain lasting more than a day. This translates to an approximate number of 1.5 million individuals aged 12-44 suffering from it. 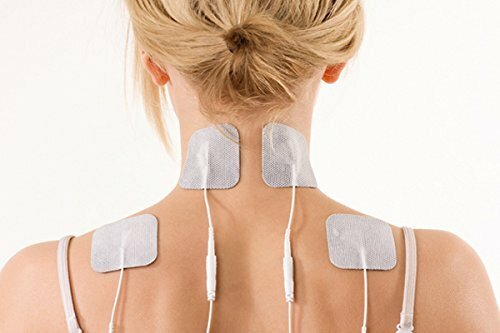 If you're one of these people, one of the most effective means of relief is an electronic pulse massager. You can use it in many areas of the body, with some brands capable of relieving different kinds of pain. Being free from this pain is important to keep you healthy and happy. But what are the top ones in the market? Let's find out. Being a portable electric muscle stimulator, the Osim uGoGo lets you enjoy a relaxing, electrical muscle stimulation therapy no matter where you are. Its compact, bench-shaped design enables good handling ergonomics while ensuring that its functions are accessible and easy to move. An outstanding feature of this pulse massager is the music-synchronized technology, making your favorite music into massage rhythms. The first one helps soothe and relax your body while the second setting helps relieve pain. The third option treats the stiffness in the muscle. You can combine these three settings to treat various muscular ailments. It has several buttons with labels that target some parts of your body like the neck, back, and legs. It has a display that lets you know the selected setting for the kind of massage it currently has. The LCD display has a backlight that makes it easier for you to see the information displayed. This one has a microcomputer that makes it highly functional. It has a compact size that makes it discreet and portable. You can use it in most areas of your body, giving you a larger coverage when it comes to massage. The Prospera pulse massager uses the TENS therapy. It's a tried and tested method of massage that transmits small electrical pulses to the muscles. It's completely safe and the massage treatment is deep. This massager has 25 varying levels of intensity. It's designed in such a way that it gives relief for most muscle pains in a lot of the areas of the body. It can give stronger pulsations that can relieve pain in large muscle groups or gentler pulsations to cater to smaller, more sensitive muscles. This electric muscle stimulator is also user-friendly with its LED display. It shows the program in current use as well as its duration. You can adjust it from 5-60 minutes. If you're not sure, it comes with 8 preset treatments that target different body areas. Get a Good Electronic Pulse Massager Today! There are a lot of solutions you can use when it comes to relieving your body pain. If you suffer from muscular pains, these five choices give great options to manage your symptoms. Do you need to get help getting an electronic pulse massager? Contact us today.